The biblical expression “40 days and 40 nights” just means a really long time. In contrast to the number of the Antichrist being 666 in Christian tradition, the number of Jesus is 888. This is from the gematria of the name Jesus (Ihsous: I=10, H=8; S=200; O=70; U=400; S=200) adding to 888. This is symbolically significant in Christianity because 7 is the number of completion and, thus, 8 is the number of “perfect completion” and “new beginning” or “beginning of a new series”. Hence, the universe was created in 7 events (note: “events” not days as is often mistranslated in many English versions of the Bible) with the new beginning coming with Jesus, the ultimate 8. 7+1=8 is also significant, in this case, as 7 and 1 symbolize resurrection and regeneration. Repeating the number 8, similar to the Antichrist’s 666, simply emphasizes it, as in 88, and, with 888, symbolizing the ultimate “8″ or rather the trinity of God’s perfection. 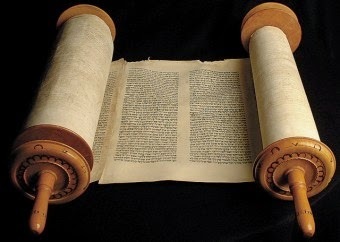 There are also 8 references to the Old Testament in which the claims of Jesus’ lordship are based, which further emphasizes the connection with Jesus and “8″ in Christian tradition. As with “40″ and “6″, the number 8 appears throughout the Bible in its symbolic form. For instance, Noah was the eighth and last person who stepped out of the Ark, representing the new beginning with 8 total individuals; the miracles of Elijah were 8 in number; Elisha asked for a double portion of Elijah’s spirit and, thus, the miracles of Elisha totaled 16. 8 is also the first cube (2x2x2). Cubic numbers have great significance in the Judaism and Christianity. The “Holy of Holies” in the Tabernacle and the Temple were products of cubes. The tabernacle was 103cubits; the Temple was 203 cubits; the “New Jerusalem”, described in Revelation, is to be 12,0003furlongs. Further, the Ark of the Covenant was a “cube of 1″, namely 13 cubits.